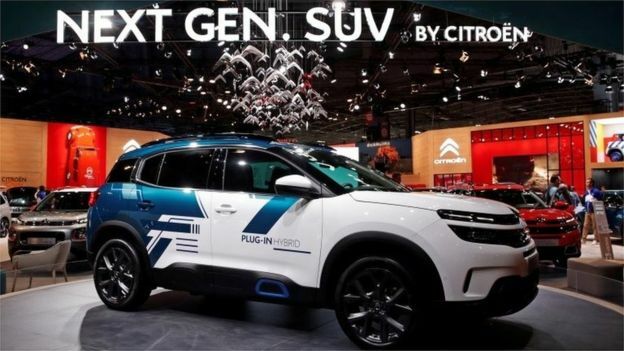 The chief executive of Citroën has told the BBC the car industry needs to consider women when designing cars. Speaking at the Paris Motor Show, Linda Jackson said the car maker was canvassing women's views for what they required from a car. She said: "I love driving and I like a nice engine but what I look for is where I am going to put my handbag, where are the kids going to be". She also said she wanted to get more women involved in the industry. The first female chief executive of French carmaker Citroën, Ms Jackson said she probably looked at cars in a different way to colleagues. "They get into a car and they'll test drive it: 'it's a great engine, it's superb'." Ms Jackson said looked further than that, examining "the whole storage and the interior. Do I feel safe?". "It's far more important and that's why we need more women in this industry because, let's be honest, we spend a lot of time in our vehicles... Why wouldn't we have women taking part in that decision?" She said the car maker held female forums to get women, who buy 50% of some its models, to look at new designs. The industry was changing its traditional male focus, she said, but it was a "slow evolution". "There's so many things you can do in the automotive industry now, whether it be marketing, whether it be engineering, design but also all of the stuff that we do with the digitalisation means why wouldn't you want to come into such an exciting environment," she said. Ms Jackson said she had made sure that there was a balance of men and women working on the company's stand at the Paris Motor Show. "I'm very insistent, for instance, on our stand we've got 50% male, 50% female as the 'hostesses'. That's important," she said. She added she was also insistent on trying to get more sales women into Citroën dealers.